A Winnipeg author is launching a cookbook with a local connection to some of this province’s best fruit recipes. 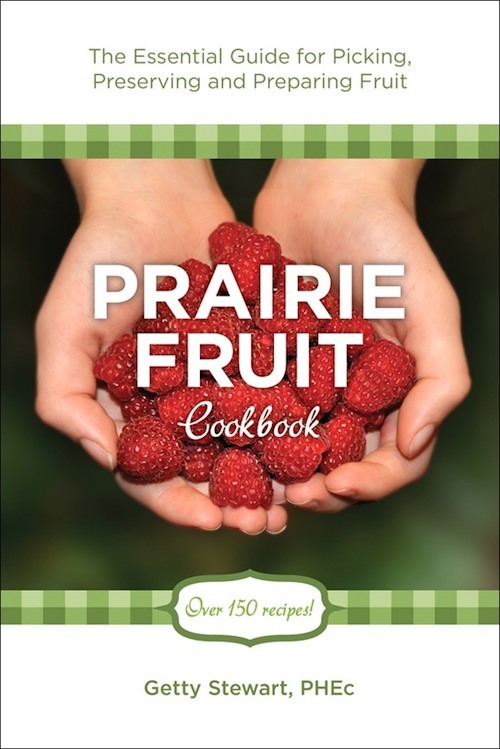 “Prairie Fruit Cookbook” is the creation of Getty Stewart, the founder of Fruit Share, a non-profit volunteer organization that harvests and shares surplus fruit growing in backyards throughout the city. The pages include more than 150 recipes and techniques, including favourites like rhubarb crisp and strawberry shortcake, as well as inspired new dishes like Chai plum jam, apple couscous and saskatoon salsa. Besides recipes, the book acts as a reference filled with practical tips and timeless advice on harvesting, preserving and cooking fruit. Stewart will officially launch the cookbook at McNally Robinson Booksellers at Grant Park Shopping Centre on Monday at 7 p.m. A portion of profits will be given to Fruit Share to ensure the program’s ongoing success. Since 2010, 9,000 lbs of Manitoba fruit has been harvested with the help of some 240 volunteers.